Marketing your business helps you get your name out there and bagging some clients. When it comes to marketing techniques, we often think of things like social media and SEO content. But that's not enough anymore. Now, it's all about video marketing. Did you know that 81% of businesses now use video marketing? It's one of the most effective ways to showcase your products and services. With so many businesses using video marketing strategies, you can't afford to miss out. If you're not sure about it all, don't worry, we are here to help. Read on for the ultimate guide to video marketing for business. What is Video Marketing for Business? Let's start by explaining a bit more about video marketing. In simple terms, it's when a business uses videos to promote their services or products. Videos make it accessible and entertaining for audiences to get to know your company and what you do. There are a lot of different kinds of videos you can make and they can all be a huge benefit. If you're a new business or you have a new product or service to share, make a promotional video! There are a lot of benefits to promotional videos as a marketing strategy. They help you to reach a wider audience when you upload them to sites like YouTube or Vimeo. Not to mention, YouTube is owned by Google so they will also boost your SEO! The more people you get to your website, the better. Videos help people find you and learn about what you do fast. They take little effort to consume and can bring more clients your way. Social media marketing is the sidekick to video marketing. They both boost each other and help your business get recognized. It's estimated that there will be over 2.77 billion people using social media platforms by 2019. Adding videos to your posts will allow more people to see them and boost your social presence online. Try to inject a little personality and fun into the videos. It will encourage users to share on their profiles and help promote your business. For a video to be a hit, it has to have substance and depth. A boring corporate video isn't going to hit anyone in the feels and get them to share. But if you add a funny or emotional element, you can form a connection with your audience. Videos with sales jargon or no storyline are fine, but people might click away. Try to get them to stay with your content. Try to incorporate a storyline for your product. Show how it can change lives or make them better. When you make it personal and human, you can inspire emotions which make people connect to you. Try to get your customers to connect and resonate with your business. This will make it more likely to make a trustworthy name for yourself. Video content isn't only for desktops or laptops. More and more people are using their tablets and smartphones to access digital media. We are using our phones to watch videos now more than ever, so use it to your advantage. Make video content that your customers can watch on the go. Some sites like Instagram and Snapchat are taking it further. Most people use their phones in portrait mode, so it makes sense to create videos in portrait mode too. You can do this and incorporate a link to your website to make it quick and easy for them to find you. The beautiful thing about video marketing is that you get a lot of information into one piece of content. Text-based content like social posts or emails only allow so much. But video content is much more flexible. A short 2-minute video can provide a lot of information. You can cram more information in without missing key parts or boring your audience. Videos are a lot more engaging for your audience and if you do it right you can fit in all the key points. With marketing techniques and technology changing at such a rapid pace, it can be hard to keep up with it all. But it's very important to keep up with video marketing. It will help you stay ahead of the competition and adapt to new trends. If you don't keep up, you'll fall behind and you don't want that to happen. Video marketing is a fun and easy way to engage with your audience. It helps them understand your business and your products and services. Video is king right now and it's not going away any time soon. With more and more online video content appearing, it can help your business out a lot. 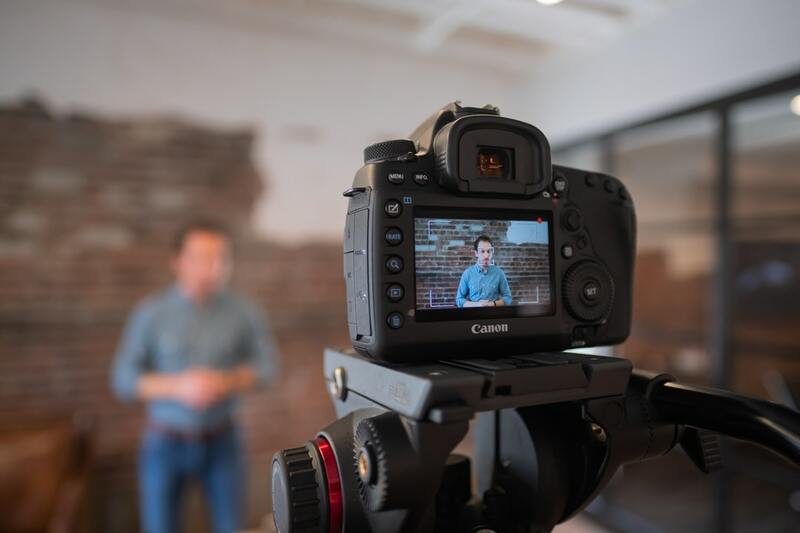 Video marketing for business is a key part of building your brand. There are so many great benefits to it and it is the way of the future. Video marketing helps encourage sales, bring in clients and create a trustworthy brand. You can get creative with it and have fun! It's a way to experiment with new ideas and add some personality to your brand. It is unique to other forms of marketing and can boost your business a lot. Now that you know how it can help, it's time to get started yourself. Find this article useful? Check out our blog for more video marketing tips!